It's day two of our low carb challenge. 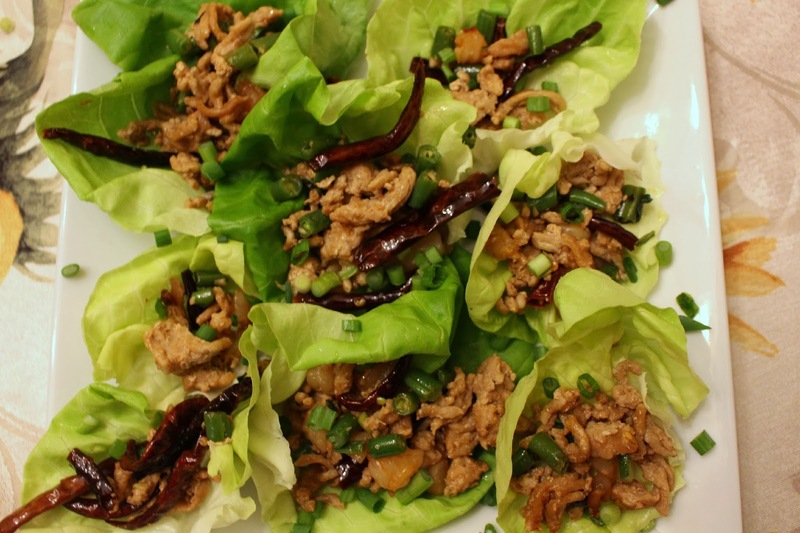 Yesterday, we had chicken and beef lettuce wrap and today I made these shrimp and chicken lettuce cups. 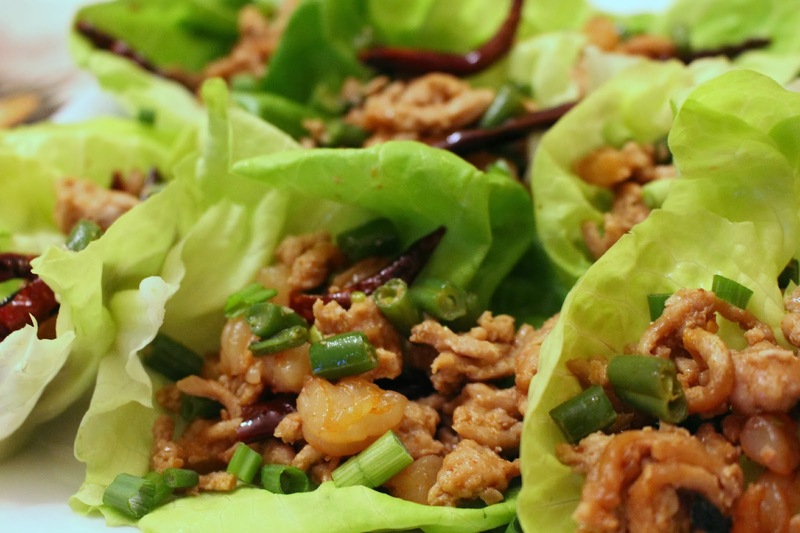 The flavors of the ground chicken and shrimp is reminiscent of a Thai chicken basil dish called "Gai pad gapow." 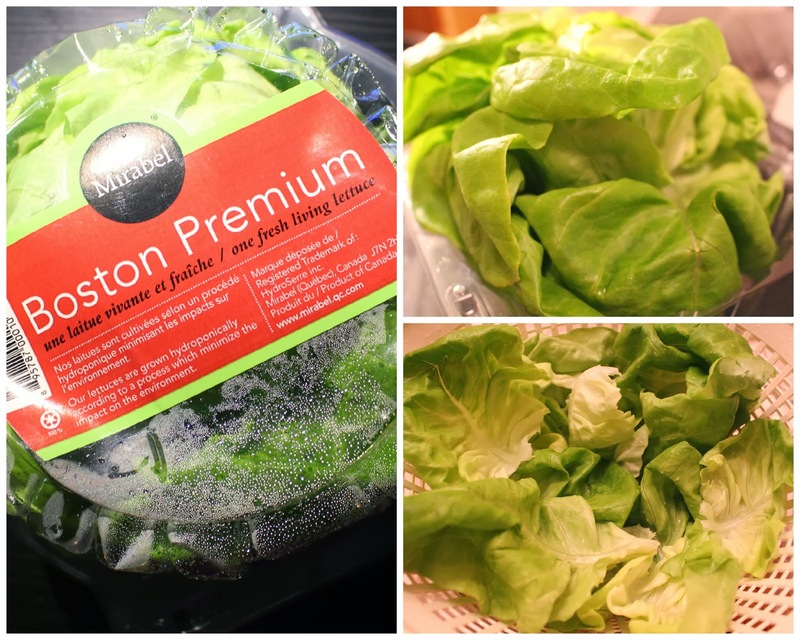 Remove the bottom of the bibb lettuce and take apart the leaves one by one. Wash with water and let it dry in a colander. If it doesn't dry before you use it, you may need to pat it dry with a paper towel. Cut the scallion into small pieces and set aside. Peel shrimp, dice in small pieces and set aside. In a large skillet or frying pan, brown the ground chicken before adding the oyster sauce, garlic, sesame oil, ginger/garlic oil, blue agave and soy sauce. Add the shrimp and Thai Basil leave to the pan and cook until the shrimp turns pink. You can add the optional red chili powder and dried red peppers. Wash and cut the ends of the green beans. Cut into small pieces. 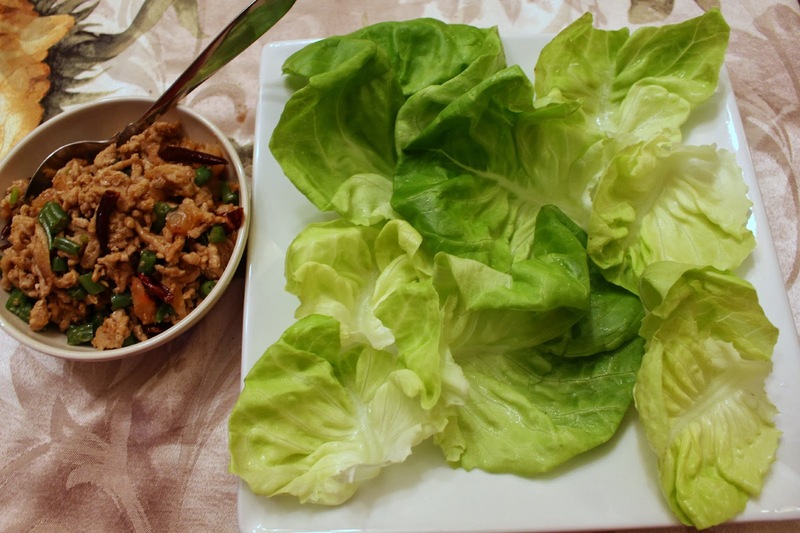 Arrange the lettuce onto a large plate. Spoon the shrimp and chicken mixture into the individual cups. 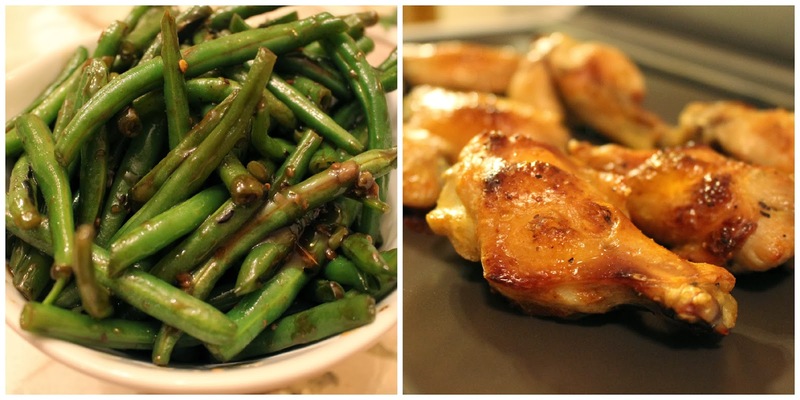 Today, I served the lettuce cups with baked wings and Chinese style green beans.